The new 2018 Dodge Grand Caravan has everything you need whether you are a cross-country traveler or a weekday road warrior. The new Grand Caravan has the power, handling, safety, and comfort while also giving you the technology to make your ride more pleasurable. When planning your next test drive, check out these five things to love about the new 2018 Dodge Grand Caravan. The new 2018 Dodge Grand Caravan is powered by a 283-horsepower, 3.6-liter, V6 engine that gives the vehicle the power it needs while making it competitive with fuel mileage to others in its class. The new Caravan gets an EPA-estimated 17 mpg in the city and 25 mpg on the highway. The engine is matched with a six-speed transmission to help get you up to speed quickly and maneuver in traffic. Cargo space is not a problem on the new Dodge Grand Caravan, with a total of 78.3 cu. ft. and an additional 62 cu. ft. when both the rear rows are folded down. Gaining the extra cargo space is simple with the vehicle’s Stow n’ Go seats which fold flat into the cargo floor. There are also additional cargo storage bins to keep small items out of the way. Utilizing the cargo space is even easier with optional touch power liftgate. The Grand Caravan also comes with standard overhead bin storage as well as the option of third-row seating to give you the space you need. 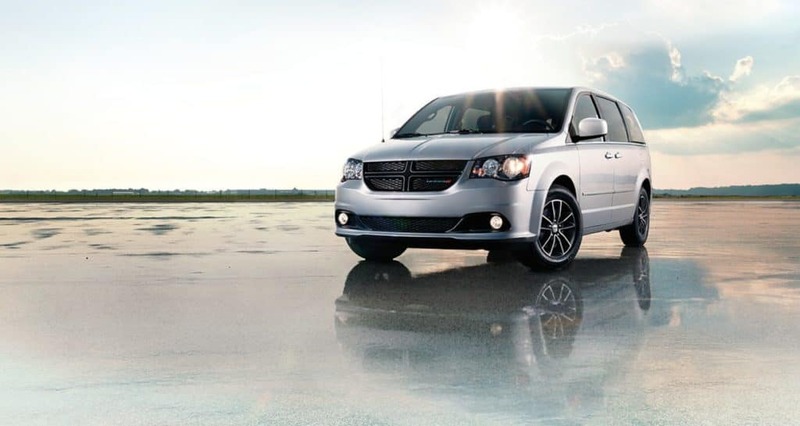 To add to the safety of the Grand Caravan, Dodge gives drivers the option to purchase additional packages that come with new driver assistance technology. You can choose a blind spot monitor that provides a warning when a car or pedestrian is in a place you can’t see. You can also add rear cross traffic alert and rear parking sensors to alert you to possible dangers when backing up into a parking space. As a bonus, a backup camera comes standard on all trims of the 2018 Dodge Grand Caravan. The 2018 Dodge Grand Caravan offers numerous convenience features to make driving easier and more comfortable no matter where your trip may take you. The vehicle has Bluetooth connectivity to offer hands-free calling, along with cruise and voice call controls located conveniently on the steering column for quick access and less distractions. There is a multi-zone climate control to ensure drivers and passengers are comfortable. Dodge has equipped their new Caravan with standard safety features to give you peace of mind and get you where you are going safely. Some of the safety features included in most builds are daytime running lights, airbag systems, traction control, four-wheel antilock brakes, and adjustable height headrests. You can add more safety features, such as anti-theft system and fog lights, as optional upgrades. With a powerful engine, high-rated safety, and numerous convenience features, the new 2018 Dodge Grand Caravan is the perfect choice for any type of driver.